Denmark can look different from the other European destinations as it is a quiet place unlike the hustle and bustle of the other European destinations. Danes are warm people and well known for their hospitality so that you might cherish your Copenhagen visit. Copenhagen is the capital city of Denmark. Copenhagen is today a charming destination with museums and monuments rich in culture and history. Once, it was just a small fishing Viking village. There are several places worth visiting in Copenhagen including the Statue of Little Mermaid, the Amalienborg Palace, Tivoli gardens, apart from museums and galleries. You can see around Copenhagen either on harbor buses or on free city bikes. Copenhagen is well known as a bicycle friendly city and nothing beats the value of biking around the city free. In fact you can get around the city faster using the bike than any other available mode of transportation. The Little Mermaid is a beautiful sight at Copenhagen and also one among the most photographed ladies of the world. Tivoli Gardens, the fairy tale amusement park will keep you mesmerized. The Amalienborg Palace is the winter residence of the royal couple. The national museum and the national gallery are the two "must see" sites that will widen your knowledge on history, paintings and sculpture. The national museum houses archaeological findings from ancient times to the present day while the national gallery has paintings and sculptures dating from the 15th century. The other places of interest are the Viking Ship Museum, displaying Viking ships of different shapes and sizes. Kronberg will enchant you by its magnificent design. It is a well known renaissance castle referred in Shakespeare's Hamlet. You can enjoy the guided canal and harbor tours organized at Copenhagen. 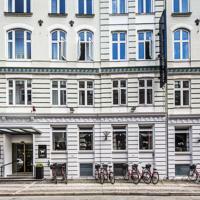 There are luxury hotels as well as budget hotels in Copenhagen. 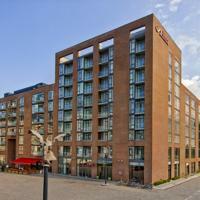 The big hotels like Marriot, Radisson and Hilton hotel are among the luxury hotels at Copenhagen. There are several luxury hotels that are several centuries old but they offer the latest amenities and the modern facilities in the backdrop of antiques, brass, and marble, complete with spa, mini bar and garden. The difference between the cheap and luxury hotels can be about 6 to 7 times in terms of dollars. In other words, a cheap hotel can cost you about 30 to 40 dollars while the luxury hotels can be around 200 dollars. However, a little research into hotel rates before you actually book can save you a lot. It is quite possible to come across a higher starred hotel at a lesser per night per room rental than a lower starred hotel. About the Author - Author is a marketing strategist specialist having great knowledge on Travel and Tourism. 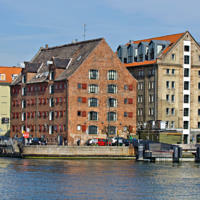 The hotel is located on the corner between Copenhagen harbor and the Nyhavn canal. An ideal central location to all of Copenhagen's sights in the most sought after area of central Copenhagen. There are a number of delightful restaurants and bars within walking distance. The rooms are small and are in good condition. The bathrooms are all in good condition. Beams have been exposed in the rooms and dominate the decor. The superior rooms all have marvelous views of the harbor and Nyhavn. The restaurant is located in the cellar and is small and intimate, in keeping with the cozy atmosphere of the hotel. This hotel is small and intimate with character and charm, a much sought after property. Ideal for guests requiring an excellent location and cozy atmosphere. The Adina Apartment Hotel is located at one of Copenhagen's newest Harbourside developments. The property is placed close to the city centre, where there are numerous shops, restaurants, attractions and nightlife. The hotel is situated adjacent to Copenhagen's new ferry terminal and is only minutes away from The Little Mermaid, arguably Denmark's most famous sculpture. The hotel provides comfortable and well furnished rooms that are equipped with modern amenities. You can relish a variety of delicacies served at the onsite restaurant, which is spacious and provides a delightful environment. Favorable parking facilities are also available on the hotel's premises. During leisure, you can relax at the sauna, workout at the gymnasium or explore the surrounding areas. 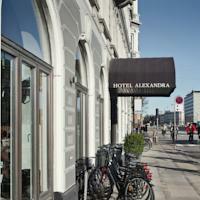 Offering a wide variety of facilities and services, the Alexandra Hotel Copenhagen is an ideal place for both business and leisure travellers. Located in the centre of Copenhagen within easy reach from the Tivoli gardens and the main shopping area of Stroget, Alexandra Hotel is placed just a kilometre away from the train station and 10 kilometres from the airport. Hotel Alexandra has 61 charming rooms including 13 Design Rooms. All the rooms are equipped with several modern amenities and are uniquely decorated with Danish furniture classics and Danish art. Guests can look forward to enjoy their breakfast in the hotel's restaurant, which serves a Danish breakfast buffet including some delicious homemade specialities. You can also dine at the Brasserie that serves a wide variety of Mediterranean cuisine. Offering a peaceful location, this property with cosy accommodation and attention to details is an ideal place for a relaxing and tranquil stay. Situated in the heart of Copenhagen, the Ascot Hotel is close to Tivoli, City Hall Square and the famous shopping street, Stroget. The hotel is just a kilometre from the city centre and 12 kilometre from the airport. Tastefully decorated, the 120 guestrooms are bright, lovely and equipped with all the modern facilities that any traveller would expect from a hotel of this category. The delicious breakfast served at the restaurant makes you start off your day in a wonderful way. You can also relax with a fine drink in the pleasant ambience of the bar. At leisure, you can workout at the well-equipped gymnasium or relax at the solarium. When you walk through the door of the Avenue Hotel Copenhagen, a very special experience awaits you where you will not forget which town you are in. The hotel is located in Frederiksberg, one of the nicest districts of Copenhagen and only a ten to fifteen minutes walk to the city centre. 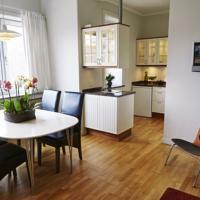 The central location puts you within walking distance of Forum, City Hall Square, Tivoli and Stroget. The guestrooms at the Avenue Hotel invite to a special experience, the mix of homeliness and elegant, comfortable furnishings. Dining options include a lounge serving light meals, drinks and snacks, as well as a comfortable breakfast restaurant. Meeting facilities for up to 20 persons are also provided for the business guests. Located in the centre of Copenhagen in the trendy Vesterbro area, five minutes walk from the Central Station, Tivoli Gardens and the main shopping street Stroget. The International Airport is a 15 minutes drive. All rooms retain the traditional feel which is to be found throughout the hotel. Medium in size and in very good condition, all rooms, while possessing considerable character, are homely, comfortable and almost luxurious. The hotel does not have a restaurant, and just a breakfast room, which can be found on the ground floor of the 6 storey building. 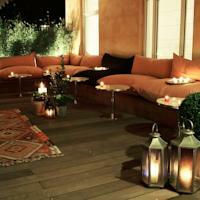 It is decorated in beige and cream colors, creating a nice warm and comfortable atmosphere. While remaining 100% traditional, this hotel possesses considerable class and is quite unique in Copenhagen.